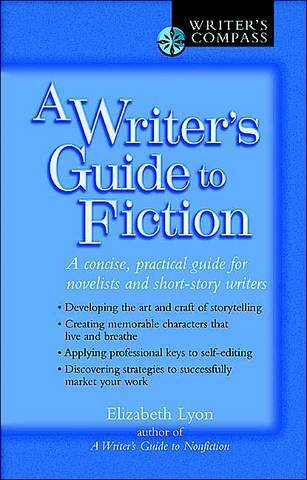 According to my copy of Elizabeth Lyon’s A Writer’s Guide to Fiction, the book was published in June 2004. Ten years ago. When I was ten. I don’t remember much of it, and I’ve decided that at some point I’m going to re-read it, and give it a solid, honest review. Another reason I want to re-read this book is because my idea of writing when I was ten years old is completely different from what I think writing is now. How much have I changed in those ten years? As a writer and a person? I certainly thought writing was something one did for fun and happened to make money off of it. And too some extent, I still think writing is fun. I knew that you needed characters and dialogue and description and the basic things. But I didn’t understand how they functioned and why they functioned so well in some places. And maybe when I was ten, because I had a different idea of what a writer was supposed to be, I didn’t pick up the things in the book as I should have. I mean, the only thing I remember is how Lyon used The Wizard of Oz to explain a few concepts. How can I base a judgment off that? That’s not fair of me. Especially when now I’m more receptive to the information. I think that’s what separates the childhood writer and the adult writer: knowledge. Creativity is still there, I believe. But it’s knowledge and experience and confidence that really gives writers that “oomph”. What about you? What were you like as a younger writer in the single digit years, or as a teenager, when others opinions started to affect you? PreviousRest in Peace, Robin Williams.